Dr. Ju was born in South Korea. While Dr. Ju was training in martial arts, Dr. Ju injured his back and was introduced through a friend to go to a chiropractor. This chiropractor was able to fix Dr. Ju's back so Dr. Ju decided to become a Chiropractor. 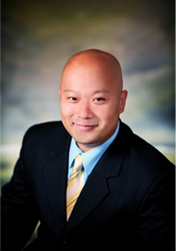 Dr. Ju moved to the United States and graduated from Palmer College of Chiropractic. While Dr. Ju was in school, Dr. Ju attended as many different technique seminars and classes as possible to bring this knowledge to South Korea. It was at school, that Dr. Ju met his wife and when Dr. Ju's wife had their first son, Dr. Ju decided to stay in the US. After graduating, Dr. Ju worked for 4 years as an associated doctor at Sylvia Chiropractic Center in Kinston, NC. Dr. Ju then decided to open his own clinic. "Ju Chiropractic Wellness Center" was opened in 2007 in Durham, NC and then moved to the Brier Creek area of Raleigh in 2010. Even though Dr. Ju is certified in many different techniques, Dr. Ju mainly uses the CBP(Chiropractic Biophysics) technique, Cox Decompression technique, Quantum Neurology technique and Gonstead technique. Dr. Ju is the only Chiropractor in North Carolina that is advanced certified in CBP technique and one of few that are certified in Cox decompression technique, Quantum Neurology technique, Chiropractic sports physician, Chiropractic extremity practitioner. Because of the unique treatment Dr. Ju provides, patients are coming from Raleigh, Durham, Cary, Apex, Chapel Hill, Carrboro, Clayton, Wake Forest, the surrounding Raleigh areas and even from out of state. Dr. Ju's focus is not only to make you feel better, decrease pain, and improve function but also to correct and restore your spine back to alignment so you can have a strong healthy spine, and feel confident about your health.